Good point – a good story is a good story no matter what. Hi Alex! As long as the tale is told well, I’m up for reading it. Call me eclectic. good post and intro to C Lee. I’ve seen her name a lot, but was not up on her books. First, I believe in reading. Anything, anywhere, any time. My mom’s philosophy was along that line – if my brother wanted to read Sports Illustrated or Mad Magazine, she supported and bought them. As long as he read. So, yes we always want to categorize books, but a fun story that hooks – who cares about the age range? Good luck on the new book!! and the whole series. Hi Joanne. Book sellers need categories, and I think that makes people think they can only find the stories on specific shelves. That’s why I loved the book seller who demonstrated how a picture book could grab a “mature” readers interest and make them want to read to the end. Appreciate your stopping in and taking the time to leave such a great comment. The oldest confirmed reader of my YA/NA series was 85, so it doesn’t matter the age of the reader. Thank you so much for hosting Lee today. Lee’s stories are fabulous… and will appeal to all ages. It’s the manner in which the story is told, and Lee is a skilled storyteller! Many thanks, Michelle. That’s a wonderful compliment coming from you. Great to see Lee here! And she’s right. A great story is universal. Thank you, Nick. I’m glad we have a chance to “talk” about this. I think it’s very important. I came over and no one asked for my passport. This is a very easy way to travel, I must say. I love the elderly. Well, I should I’m in that fabulous category these days. And magic! We need so much of that, don’t we? Thanks, Hilary. Enjoyed that – and enjoy C Lee McKenzie’s blog. She makes an excellent point. And, I’m not averse to revisiting books I read as a youngster, anyway! Well, I’m excited to read your post! I have to say that I tell people about your blog all the time. I’ve even got my husband clicking through, but I bet he lurks. Very shy about social media! Thanks for the visit here today. Loved finding your comment. 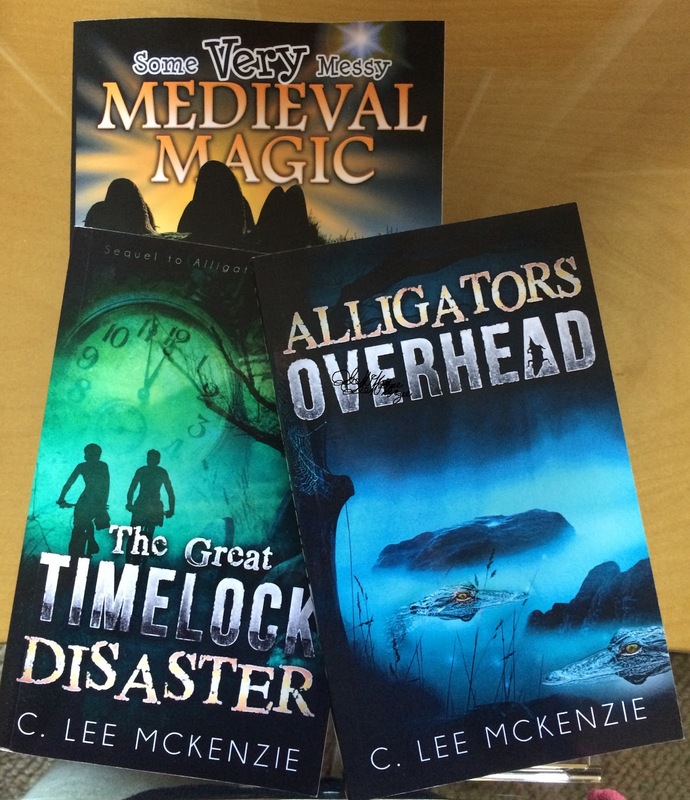 Lee, Having a sixty year old male become a fan of your YA…..wondrous. Well, it was a surprise. He certainly wasn’t the audience I’d aimed for, but there you have it. Case in point. Tell a story that someone can relate to and you’ve got a reader. I read lots of MG and YA . The variety of stories out there is amazing. You’re never too old for a great story! Good to see you over on Annalisa’s blog today Lee. Hi Suzanne. Thanks so much for stopping in while I’m here. You’re so right. A good story is a good story. I agree about the strength of a good story. I truly believe it is, as J.K. Rowling stated in er Harry Potter series, our greatest source of magic. I definitely agree! I kept some of the books that I loved when I was a child and still love now, including the Secret Garden and Matilda. I wish I’d kept my copies of the Ramona Quimby books by Beverly Cleary, and I still have a couple of my favorite YA books too. It is interesting to read them from a grownup perspective than from when I was a child.